Vokèra boilers and heating products are used by more than one and a half million customers across the UK and Ireland and is a brand trusted by homeowners and professional engineers. 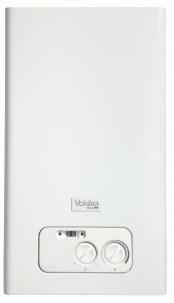 Vokèra boilers are designed for both easy installation and day to day use alongside a lengthy lifetime. Their boilers and renewable products are among those leading the market in increased energy efficiency. If you’d like to find out how much a new Vokèra boiler is likely to cost you, send us an enquiry today. We’ll get back to you ASAP with up to 3 free, no-obligation quotes from Gas Safe installers in your area. Vokèra offers built-in quality and innovative design as standard. Easy to install and commission, a Vokèra combi boiler is a great choice to keep your home warm and provide hot water whenever you need it. If space is an issue, or if you don’t want to have additional elements such as a tank in the loft, a cistern in the airing cupboard and lots of pipework running between these and the boiler, then definitely choose a combi boiler. For domestic customers, it makes sense and will offer improved energy efficiency and reduced energy bills when compared to older boilers. Just make sure you can get the right output to meet your home heating and hot water usage. You can look forward to saving money with your new Vokèra combi boiler. Once you have decided on the specification of combi boiler you actually need i.e. what output will best suit your home and usage patterns, then it does make sense to compare different manufacturers. Vokèra are not only a cost-effective choice, this brand is also reliable and energy efficient too – which means that you should also save money on your energy bills as well as maintenance and any repairs needed during the lifetime of your new boiler. But before you finally decide, get two or three quotes for the install from different engineers as the price for this can vary. 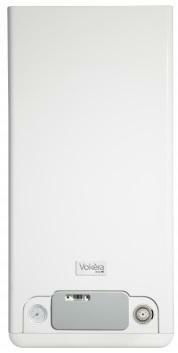 Get quotes for a new Vokera boiler. Many homeowners go for a system boiler, particularly if they expect to be placing high demands on their hot water and heating. A Vokèra system boiler utilises a sealed water cylinder for storing hot water so there is always plenty ready for whoever wants to use it. It should give a better flow rate than a combi boiler too, as that doesn’t have a hot water cylinder which does make a difference. A system boiler is also different to a ‘regular’ boiler as it doesn’t actually need a separate cold water expansion tank. This is good news for homes where there is limited or zero loft space. Vokèra system boilers are more compact than older style boilers so they look sleeker and take up less room too. So you’ve decided on a Vokèra system boiler – but how much will it cost? You can get an idea below however the price tag for buying the boiler is one consideration, don’t forget to also factor into your budget the cost of getting the new boiler installed. There are lots of reputable heating engineers who will be able to advise you what to expect. It is always good to get at least two or three quotes, just to make sure you are paying the best rate for getting your new system boiler up and running. And once that’s done, you can sit back and look forward to lower energy bills over the months and years to come. Get quotes for a new Vokera boiler. If you live in an older home with a traditional heating system then a replacement Regular boiler may be the best option. A Regular (also known as traditional or open vent) heating system includes a large tank of cold water in the loft which feeds down into a boiler which heats water for your central heating and a separate hot water cylinder which produces hot water for your taps. Changing to a system or combi boiler can involve new to cope with the higher water pressure as well as the removal of the feed tank and cylinder, so many homeowners choose to stick with a regular boiler to avoid this, particularly if they have a high demand for hot water. The cost a new Regular boiler will vary depending on the installer you choose to buy from and how much they charge for installing it in your home. We’ve included some typical prices below but the best way to get an accurate price is to compare multiple quotes. Always get quotes from reputable Gas Safe heating engineers who have the professional skills and knowledge to carry out the job safely and to a high standard. By comparing at least 2 or 3 quotes you can be sure you’re getting the best deal available and the right boiler for your home and lifestyle. Get quotes for a new Vokera boiler. It’s important to keep your boiler in the best possible condition with an annual boiler service by a professional engineer. This will ensure the boiler can operate as efficiently as possible, keeping heating bills to a minimum, and that there are no potential safety issues to be concerned about. A boiler service is also a great way to catch and fix small repairs before they have the chance to worsen over time and cause an expensive breakdown. Find out what’s involved in an annual boiler service, why it’s so important, the benefits and how much they cost in Vokera Boiler Service. Every boiler manufacturer offers a standard warranty with their boilers which last between 1-10 years. The warranty is your insurance policy and means if a fault develops the manufacturer will resolve it within a specified time frame. Some warranties include both parts and labour while others may only cover parts. The most important thing to remember is to get your boiler serviced by a Gas Safe registered engineer every year as failing to do so is likely to invalidate your warranty. For more detail about this brand’s warranty (including the small print) take a look at Vokera Boiler Warranty. Even the highest quality boiler can develop faults and problems as they age. Some are minor issues you may be able to handle yourself but most will need a Gas Safe registered engineer to diagnose and repair the problem. To find out if there are any common problems associated with this manufacturer you can read our guide to Vokera Boiler Repairs & Common Vokera Boiler Problems. Error codes may appear on your boiler’s display; it’s your boiler’s way of telling you that something is wrong. Each manufacturer uses a different coding system to help an engineer to diagnose a fault. In some cases it may be a simple issue such as low pressure which you can adjust yourself but more technical faults will certainly need a professional. We’ve put together a list of error codes for all Vokèra Boilers to help you understand what’s wrong before you contact an engineer. Vokèra also manufacture the AriaPRO Air Source Heating pump which extracts heat from the air outside your home to heat water using compression technology, as well as both flat plate and evacuated tube solar thermal collectors which capture heat from the sun to produce hot water. To control your Vokèra boiler or renewable system you can choose from manually adjusted RF thermostat, a 7 day RF programmable room thermostat, the 711 OpenTherm RF programmable room thermostat which monitors the weather outside and adjusts the temperature of the heating accordingly. Some Vokèra boilers are also compatible with the BeSmart Wifi connected system which gives you control over up to 8 different heating zones via an app on your via smartphone, tablet or desktop.